While most entrepreneurs have at least heard of venture capital, the term is often misunderstood. So, what is venture capital and how is it used? Venture capital is a form of private equity where investors or firms fund startup businesses deemed to possess high growth/profit potential, typically in exchange for equity. The investors or firms funding these businesses are known as “venture capitalists.” The venture capitalists provide startup businesses and entrepreneurs with funding, but unlike a traditional bank loan that the borrower is required to pay back, the venture capitalists ask for equity (partial ownership in the company) instead. Venture capital is typically used to fund small businesses and startups during their early stages. These businesses often struggle to obtain funding through traditional means, so they look towards venture capitalists as an alternative. While venture capital can be used to fund businesses in all sectors, it’s most commonly used in the information technology (IT), social media, and biotechnology sectors. 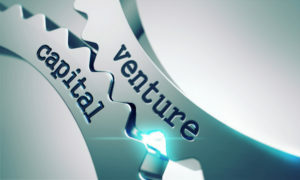 Venture capital has become a popular means of funding for startup businesses. One of the reasons for its popularity is because is the minimal requirements when compared to traditional funding options. Startup businesses often have little-to-no operating history, and they are often too small to raise funding in the public markets. So, these small businesses seek funding from venture capitalists, who provide them with money to grow their business in exchange for equity. Of course, there are also some caveats that small business owners and entrepreneurs need to be aware of when seeking venture capital. First and foremost, the venture capitalist takes on significant risk when funding startups. Because startups have little-to-no history of success, venture capitalists usually have some control over the funded company’s decisions. Venture capital differs from crowdfunding in the sense that crowdfunding does not involve equity. Venture capitalists acquire equity when funding a startup business, while crowdfunding investors do not. This makes crowdfunding an even higher risk for investors. Is Venture capital the right funding option for your business? Being that no two businesses are the same, it really depends on the circumstances. It’s a great way to obtain funding for startups with little-to-no history of success, although you’ll have forfeit partial equity in order to receive this funding.